Boyfriend sought in stabbing death of transgender woman in Van Nuys, Calif.
Update: Police say the suspect in Payne’s murder turned himself in to police on Sunday afternoon. Ezekiel Dear, 25, was accompanied by a local pastor when he surrendered to police at 3:30 p.m. on February 1. VAN NUYS, Calif. — Police in Van Nuys, Calif., are investigating the murder of a transgender woman early Saturday, and are searching for the woman’s boyfriend, who detectives say is the prime suspect. Yazmin Vash Payne, 33, was found stabbed to death on the kitchen floor of her apartment on Saturday after firefighters responded to a call just after 5 a.m. of a fire in the unit and broke in and put out a small fire in a bedroom. Police say Payne may have been partially burned, and that the murder weapon was found in the apartment. 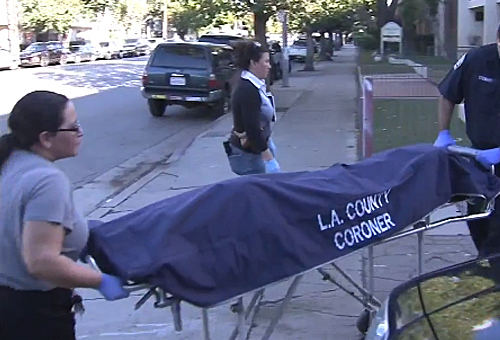 KABC-TV reports that Payne’s boyfriend, who lived with her, is the prime suspect in the case. Police have not yet released the suspect’s name. Detective Robert Bub of the Los Angeles Police Department’s Van Nuys Division said neighbors heard arguing coming from the apartment around 4 a.m., shortly before the fire. Friends say Payne was open about being transgender.